Many thanks to Liz Yore for this great presentation -- and thanks for the plug! Elizabeth Yore, you put all the princes of the Church to shame! God Bless You liz and all those who are indeed fighting this final battle. Jorge Bergolio "MUST" resign and take all his trash with him! How grateful we are to you, Elizabeth Yore. Your life is already crowned by your defense of helpless children, and for that we should already be eternally grateful. I envy you in heaven, you will be surrounded by happy, grateful children whom you helped in this world. And here you are defending the church and the faith. Thank you so much for this great presentation. It is inspiring and informative. God bless you, and God bless Vox for bringing it to us. We must do whatever we can to help Holy Mother Church. 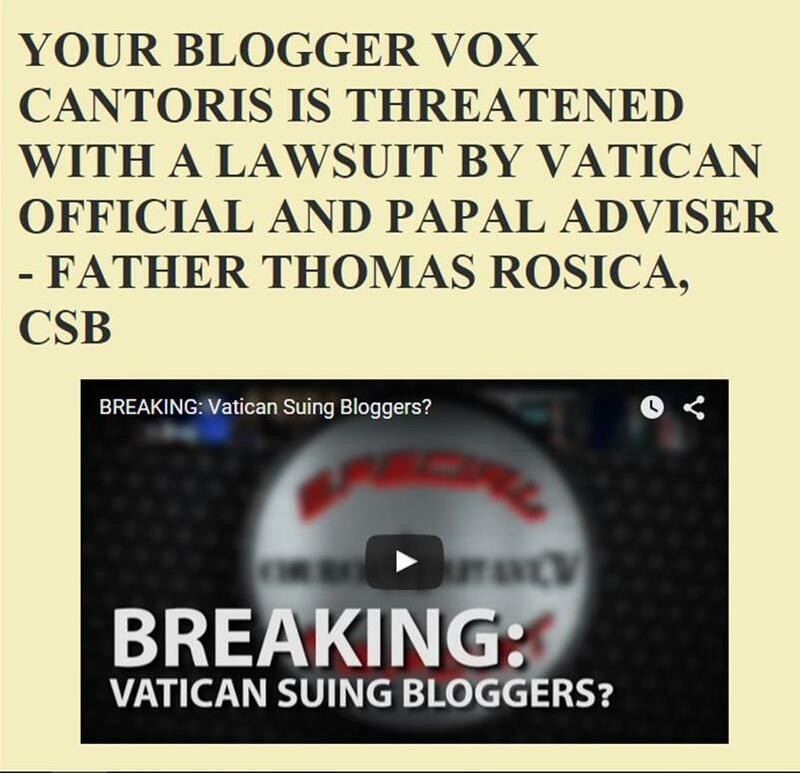 I remember the first months and years of Bergoglio's papacy on all listed blogs and you-tube channels. People were focusing on the good, and inventing the most unlikely excuses for him. Any mention of the new globalist world order would ensure the award of the label "crazies" in some remnant circles. I could not see much good in this person, for he is clearly a liar, a pragmatic politician, not a sincere Christ follower. Which was harder - to be called crazies or to be in the dark about the affairs of the world, busy inventing fantastical explanations for a pope and devoted enemy of the Church all in one? It does not matter. We are all awake now. We have been through much trauma, people, in the last five years. God have mercy on us and help us think and do the right thing.